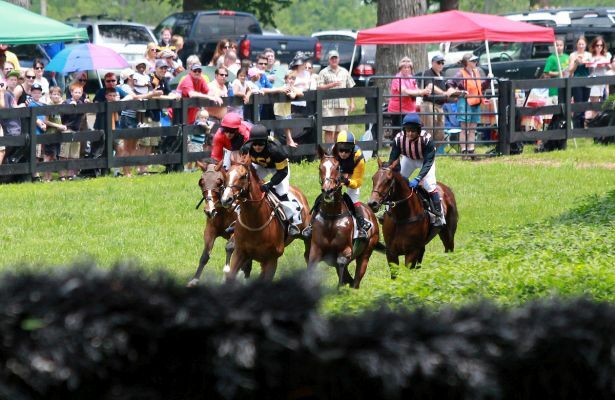 Ryalex was the only horse of notice in Carlisle's fifth race Monday, winning the steeplechase by 24 lengths. It was something other than the winning margin, though, that made Ryalex hard to ignore. Ryalex, a 7-year-old gelding trained by Lucinda Russell, was missing his left ear. According to the Racing Post, Ryalex normally races in a hood, making it hard to notice the missing ear. Connections decided to leave the hood off on Monday. "We're particularly fond of him because he has only one ear. He lost it in an incident in Ireland before we bought him," Russell's partner Peter Scudamore told the Racing Post. The win at the English racecourse was the first in 11 starts for Ryalex. Ridden by Stephen Mulqueen, he completed the two miles and four furlongs in 5:21.80 over soft turf. While there's no recollection of another racehorse with one ear, the Racing Post mentions U.S. runner Patch, the one-eyed horse who ran in the 2017 Kentucky Derby. Trained by Todd Pletcher for Calumet Farm, Patch also ran third in last year's Belmont Stakes.